WildBrain, a digital kids’ network and studio, has been appointed to exclusively manage content on YouTube for the renowned German toy brand, PLAYMOBIL. Under the two-year agreement, WildBrain will manage an exclusive library of 15 short animated videos from the toy brand, featuring PLAYMOBIL iconic figures. The videos will stream on a range of PLAYMOBIL channels launched on the WildBrain network in multiple languages, including German, English, Spanish and Portuguese, with more planned. PLAYMOBIL is an internationally acclaimed creative toy system offering children imaginative role play adventures across diverse historical and modern themes. Over three billion PLAYMOBIL toy figures have been enjoyed by children worldwide since 1974. “PLAYMOBIL toys have inspired generations of children around the world in creative play. We have always been fans of the PLAYMOBIL digital strategy to produce high-quality animated stories featuring their iconic figures, and we are honoured to have been selected to further grow their international audience and take the brand to new heights through the WildBrain network on YouTube and the YouTube Kids app,” said, WildBrain managing director Jon Gisby. “PLAYMOBIL stands for fascinating brand experience, and for a whole cosmos of creative video content. Children from all over the world today can become directors themselves and generate their own video clips. 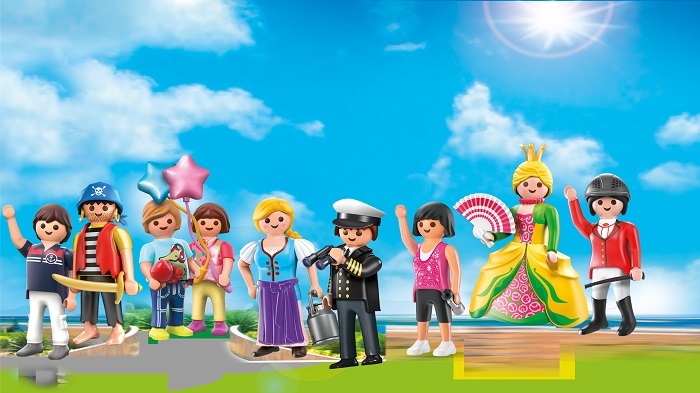 With WildBrain we have an experienced collaborator who will generate new energy and is able to perfectly present existing content for new and curated PLAYMOBIL engagement on the web,” said, Brandstaetter Group (PLAYMOBIL) CEO Steffen Hopfner. PLAYMOBIL is the latest in a string of international toy brands, including The Irish Fair Door Company, Kuroba, Hairdorables, Beyblades, Smooshy Mushy, and Tulipop, to have appointed WildBrain to help grow their brands internationally through content on YouTube.